U judas... return those 30 pieces of silver and include Cantona in the starting 11. Plus F Henry n put Shearer in. Also, get rid of cole move Irwin to the left n think of a better right-back or leave Irwin at right=back n think of a better left-back. Last edited by vB9; 31-12-2011 at 08:17. From the players I've watched, these are not necessarily the best players I've watched, but the team with the right kind of players to win any match any day against any team. I hate it when I see uber-attacking formations on most fantasy teams, because most such teams I see wouldn't make much of an impact on a real game. Bench: Neuer (beast), Cannavaro (smart), Zambrotta (can play both sides at extremely high levels), De Rossi (complete CM but defence > attack) Seedorf (complete CM but attack > defence, and is a leader), Totti (for the magic. I always thought he was more magical than Zidane, but just not as consistent, which could possibly be because of the team around him at Roma), Ronaldo (the original). Buffon's inclusion is beyond question. Silva, so the defence can't even be beaten by pace. Nesta for orchestrating and Maldini because he is the one and only God that created heaven and Earth! Gattuso and Pirlo because that was the most awesome tandem at their prime. And the captain is a no brainer. I expected it to be more varied. Personally I think it goes Schmeichel 1, Buffon 2, but each to their own. Jorge Campos: obvious choice really. Crazy and flamboyant goalkeeper, with a good overall technique, great reflexes and with the occasional rushing out. I just love a goalkeeper who can play with his feet. Scored his goals too, as goalkeeper and attacker, AND, last but not least, made his own costumes. Antonio Benarrivo: fell in love with him in USA 94. Ran for 90 mins up and down the line, played with his heart, a full back who loved attacking, and had a good technique. Everything a great full back needs to be. Jaap Stam: badass defender, attackers were scared to take him on, unbeatable in the air. A true warrior. Paolo Maldini: no words to describe him. One of the most elegant football players ever to play the game. Razorsharp tackles and classy control of the ball. The perfect leader. Roberto Carlos: like Benarrivo, ran u and down the line all game long. Great cross, superb freekicks. One of the few fullbacks who could win a game on his own. Pep Guardiola: a commander of the midfield. Great vision and passing, was a bit slow but he made his teammates run. Very gracefull and really the brain of his team. No wonder he turned out to be a great coach. Jay Jay Okocha: most ridiculous technique I've ever seen on a player, in terms of freestyling on the pitch. Ronaldinho being a close second. Good freekicks, great long shots and a bit crazy. Always wanted to give something to his audience. Just perfect. 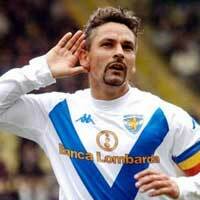 Roberto Baggio: greatest Italian football player of all time IMO. Just like Maldini, no words can really describe him. One cannot be angry wih him playing for the big three in Italy, he's a player who belongs to everybody, he just wanted to spread some joy through football. And kept Brescia in Serie A for four years straight. Legend. 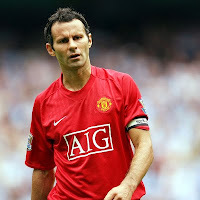 Ryan Giggs: best left winger I've ever seen. The fact that he still plays, after +20 years, means something. Has everything that I love in a football player. Speed, technique and perfectly timed passes. Ronaldo: without a doubt one of the best players ever. Ridiculously fast, superb close control, incredible technique and clinical when it came to goal scoring. It's gonna be a long time before we see another player like him. 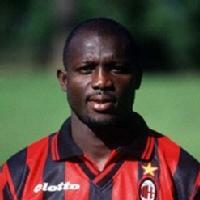 George Weah: physically a beast, and just like Ronaldo, fast with an unbelieveble technique. Just not always as clinical as he could've been. Moreno Torricelli: great defender, could play anywhere in defence. Vastly underrated, especially in terms of the national team. Andrea Pirlo: just a joy to watch him play. 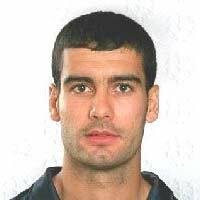 At the height of his carreer, between 2003 and 2006, he had no rivals in midfield. 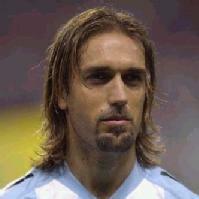 Gabriel Batistuta: the perfect goal scorer. Not as fast and technically gifted as Ronaldo and Weah, but he had a sixth sense regarding goal scoring. Left, right, headers, short range or long range, it didn't matter to him. I'm more interested at the fact that no one has Ronaldinho as yet. Campos for the flamboyance, agreed. 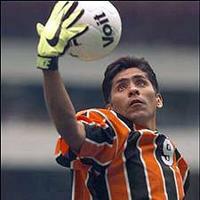 Maybe Higuita. At his best he was probably my faviorite player to watch. Batistuta was ridiculously good during 98'. He was always a joy to watch, plus Dino during his peak was simply insane. Btw, has anyone mentioned Poborsky yet? He was fantastic as well. He was average at best in the EPL. He was good for Lazio and the NT. basically combines excellent passing with a ton of movement and a high work-rate up top. Last edited by hdcantona; 31-12-2011 at 22:47. A team with partly players I like, a few that I kinda like I guess and fit in to complete the team I had in mind. No pure goalscorer, but the weapon is in all attacking players being hard-working and able to score (including the midfielders, except for Fernando Reges). Kinda like Milan does: forwards create space, and midfielders can score the goals after making a nice run forward. Unlike Milan, good fullbacks though. I forgot to make arrows that create a possible three man defense for when Lahm goes forward, but Criscito doesn't (Nesta and Silva should go bit more to the right then). ^^Easy with the arrows there, Mourinho. I actually could have added a lot more. And pre-Inter Mourinho was my favourite coach.